Given the complexity and nature of eating disorders, this presentation seeks to shed light on the growing continuum of research pointing to the “addictive” elements driving pathological overeating and the regulation of appetite. The notion that most eating disorders share commonalities with substance use disorders is not entirely new. However, the “addictive nature” of certain foods and substances, the biological and personality traits of the “addict,” and what these have in common with disordered eating is now evidence-based. This presentation will identify the specific “foods of abuse,” the interplay between biological, cultural, and psychological factors, and the evidence supporting this substance use thesis. The implications of adopting this perspective will also be addressed from a treatment perspective. Identify at least four  DSM V criteria Bulimia or Binge Eating Disorder have in common with a substance use Disorder, such as cocaine or alcohol use disorder. Identify the part of the brain responsible for impulse control, judgement, and intellectual understanding most impaired with a substance use disorder. Name at least two major food substances that have been shown to have abuse potential in much the same fashion as cocaine, alcohol, or opiates. 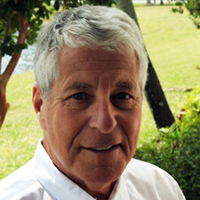 Marty Lerner, PhD, is the CEO of the Milestones in Recovery Eating Disorders Program located in Cooper City, Florida. A graduate of Nova Southeastern University, Learner is a licensed clinical psychologist who has been treating eating disorders since 1980. He has appeared on numerous national television and radio programs, including The NPR Report, 20/20, Discovery Health, and ABC’s Nightline, authored several publications appearing in the professional literature, national magazines, and newspapers including USA Today, The Wall Street Journal, and New York Times. He is the author of “A Guide to Eating Disorder Recovery: Defining the Problem and Finding the Solution.